Complex includes 52,000+/- sf of building space with an additional 50,000+/- sf of canopy area. 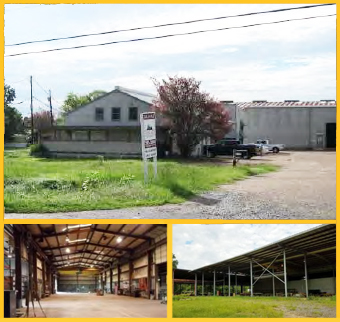 Includes office space and warehouse area with multiple craneways. VA Pamela L. McKissick Re Lic 0225218640. Williams & Williams Re Lic 0226 023368. This email was delivered to by www.BigBoysBlast.com, a commercial real estate marketing website. BigBoysBlast.com makes no warranty or representation, expressed or implied, as to the accuracy of the information contained herein.